With Christmas coming in 35 days and all the shopping and preparations we have ahead it’s easy to lose focus when thinking about sorting out the energy bills, however not sorting it out may lead to a drastic increase in spent for your electricity or gas usage. A quick solution to this would be when reviewing your tariff – analyse your last year usage and if need be switch to a great-value fixed price plan before they are gone! How to switch the supplier? Switching suppliers is not difficult and does not require a lot of time nor effort. • Before you switch your supplier check if you could get better deal from your current provider, if not browse your options online. 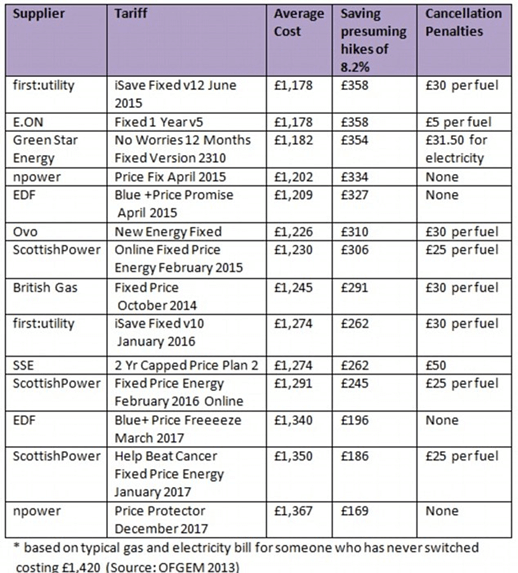 There are plenty of companies which can help you with the energy price comparison and switching process. These websites provide genuine information which has been calculated in a fair and unbiased way when comparing your energy prices based on the area you live in (postal code required). Furthermore they assist you with the whole process of switching suppliers so it is really easy! Do not be afraid of change and start comparing your energy prices today! Next Got Unwanted Present last Christmas? Re-gifting may be the answer..